Well, it’s finally here. 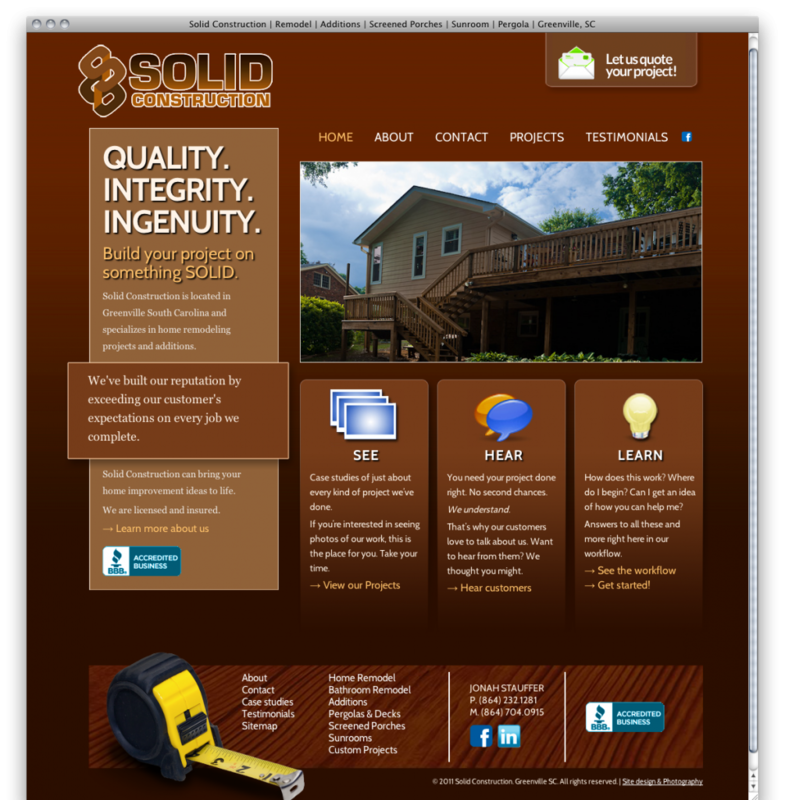 Solid Construction has a new website. We had the great priviledge of providing design, photography and development for Jonah and Solid Construction. Jonah’s been a long-standing client of ours, but recently really took the plunge into a brand-new website. Built for great looks, helpful UI and Search Engine Optimization, the all new solid-sc.com is humming.